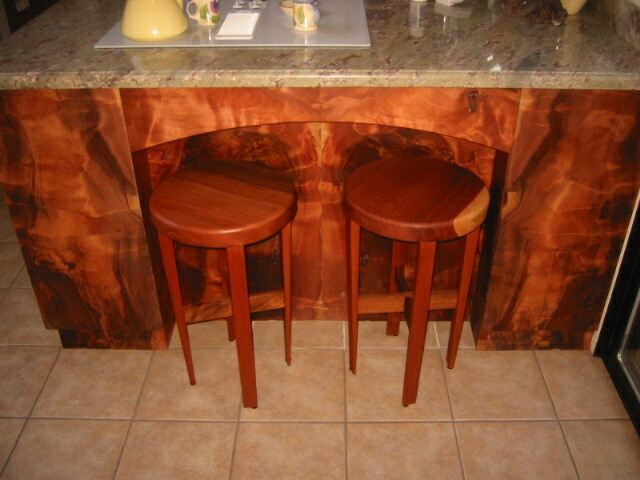 In our showcase today: Counter and chairs by Moonstone Redwood. 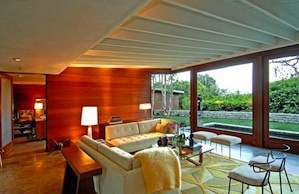 Today in our redwood architecture spotlight we present a midcentury masterpiece in Los Angeles by architect Carl Marston. 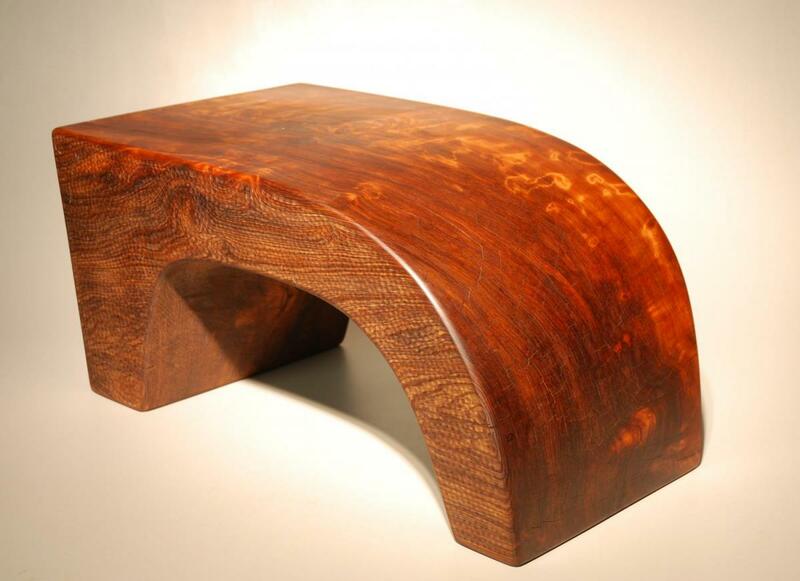 In our furntiture showcase - a redwood bench by craftsman Bruce Mitchell. 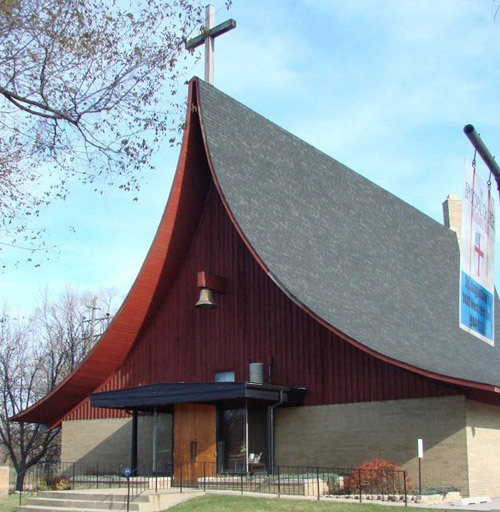 Today we are highlighting a midcentury modern redwood church in Gary Indiana that has achieved architectural landmark status. 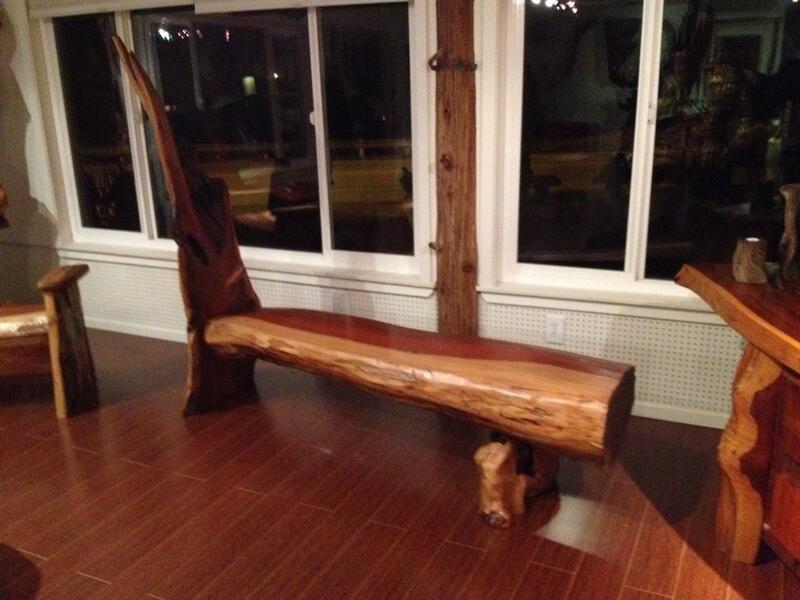 In the redwood furniture showcase today - this beautiful rocking bench. 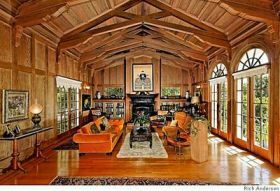 This 1915 wood frame home in Berkeley, California was designed by Henry Gutterson, a prominent Arts and Crafts-era architect. 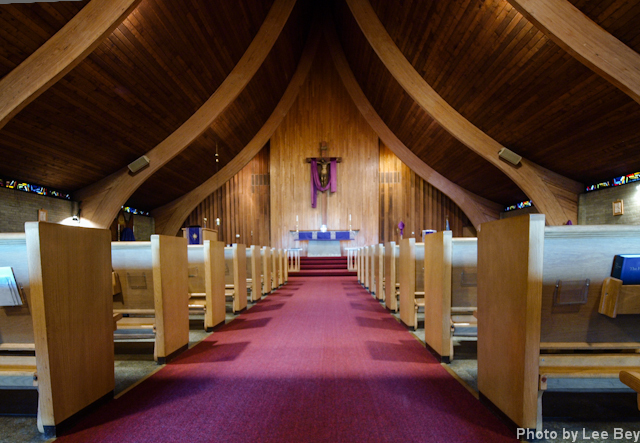 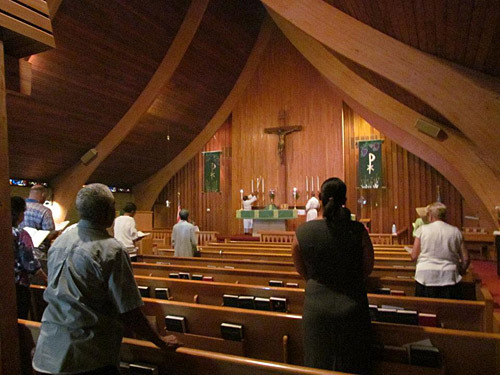 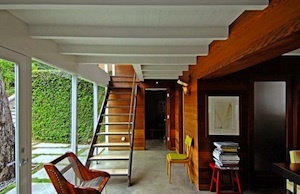 It has paneled redwood walls and a cathedral ceiling with carved crossbeams. 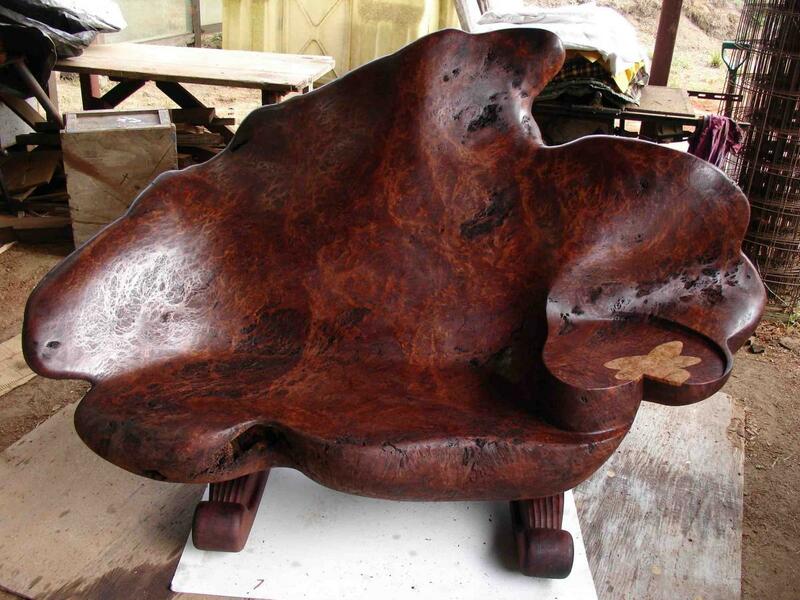 Copper and redwood bench from the craftsmen at Moonstone Redwood.